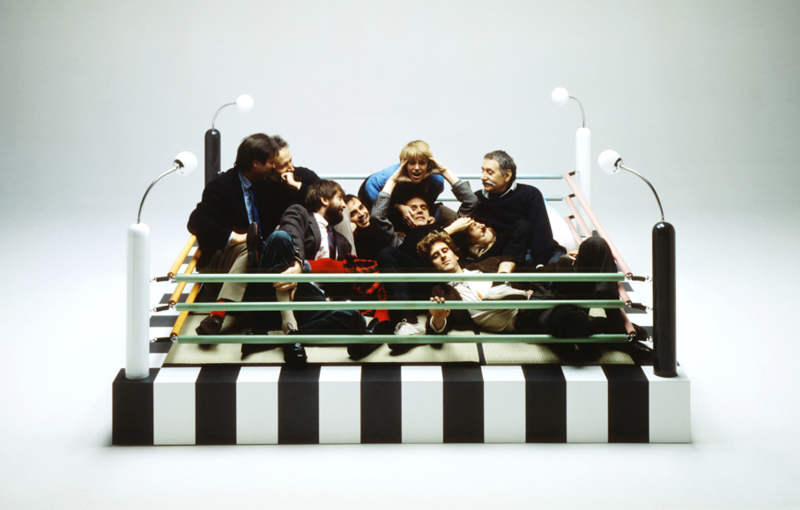 The Memphis Company was founded in 1981 to realize products designed by Ettore Sottsass and a group of young architects and designers who had come together as a group around him. Memphis was founded as a laboratory for the development of new project design ideas and soon became a genuine cultural phenomenon. With Ettore Sottsass and Barbara Radice as references for the group, the design of Memphis acquired a new conception of expression tied to new forms, new materials and new patterns, redesigning our habits about the idea of living and revolutionising logical thought processes of the world of Design. The Memphis movement thus became an almost mythical symbol of the “New Design”. The latest collection of the Memphis group was designed in 1988.